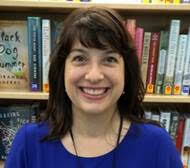 Boca Raton, FL – The Boca Raton Public Library is pleased to announce that Ellen Randolph has been promoted to Manager of Library Services. Previously, Ms. Randolph served as the library’s Public Services Librarian and was responsible for managing over 50 staff members in three library departments in both the Downtown and Spanish River Library locations. She has been an active participant in library strategy and management, including developing and coordinating library programs and services, streamlining operational structures, strengthening employee leadership skills and expanding creative opportunities, leading and mentoring project teams, designing and implementing revenue processes, and improving library responsiveness to internal and external customers. The past few years, the BRPL has experienced tremendous growth, and a milestone was reached in October 2018 with 1 million checkouts for the year. Under Ms. Randolph’s leadership, the BRPL will move forward in 2019 with particular focus on early literacy, technology and work skills, civic engagement, cultural awareness, and language resources.